Tides on Earth have a far-reaching influence, including disturbing satellites' measurements by affecting their motion. 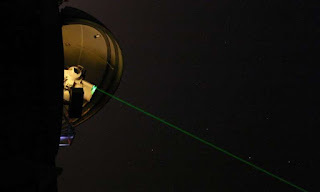 This disturbance can be studied using a model for the gravitational potential of the Earth, taking into account the fact that Earth's shape is not spherical.The LAser RElativity Satellite (LARES), is the best ever relevant test particle to move in the Earth's gravitational field. In a new study published in EPJ Plus, LARES proves its efficiency for high-precision probing of General Relativity and fundamental physics. By studying the Earth's tidal perturbations acting on the LARES, Vahe Gurzadyan from the Center for Cosmology and Astrophysics at Yerevan State University, Armenia, and colleagues demonstrate the value of laser-range satellites for high-precision measurements. Specifically, laser-ranged satellites bring increased accuracy in the study and testing of what is referred to in physics as frame dragging. In this study, the authors collect the observations of Earth's tidal perturbations acting on LARES and compare them with two similar laser-ranged satellites: LAGEOS and LAGEOS 2. 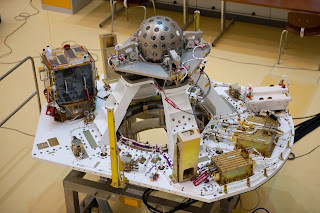 The team analysed 3.5 years of LARES laser-ranging data, together with that of the two LAGEOS satellites. To extract frame-dragging from the laser-ranging data for high accuracy, the authors model the main gravitational and non-gravitational orbital perturbations. To do so, the team documented 110 significant Earth tide modes for the LARES satellite using the perturbative methods of celestial mechanics and recent data on the satellite's orbit. Frame-dragging is one of the intriguing phenomena of Einstein's theory of General Relativity. It is an effect on space, and is elastic--in other words, it will revert back to its original shape and energy state after force is exerted on it-whereby particles exchange energy with it. This has implications for astrophysics.